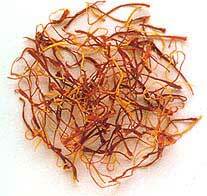 It is fun to buy Genuine Saffron (Azafran) for your cooking at the weekly street market in a small village in Spain! Saffron shall be for sale in small boxes of plastic or bottles of glass, so you are able to control that you’ll have the Genuine Saffron and nothing else! Beware of those paper packages with small envelopes containing flour of corn coloured with Tartrazin! It is yellow, but it tastes nothing, and for the genuine spice the word AZAFRAN shall be engraved on the small plastic boxes and its origin shall be La Mancha – the land of Don Quixote. The best souvenirs you can buy and perhaps give to your neighbour who took care of your house during your absence abroad. Light weight gifts, contains 1-4 grams per box. When the Spanish husband cooks the Sunday Paella ( recipe), perhaps one of the few times he will be the Chef, the cooking will take place in fresh air, in the patio or on a picnic and it will go on for hours (if you are very hungry) and he’ll use several pinches of the costly spice for 1 kilogram of Arborio rice. 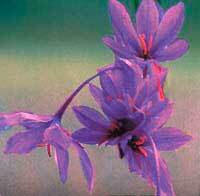 Sometimes he puts in some Curcuma (Turmeric) too, but but that is tasteless, only colour. As we have relatives living near Valencia we have not tried any hotel or rural cottage. Many Brits and Germans have houses to rent, mostly in Andalucia, so we think it will be easy to find a place if you want to stay for a while! Of course there are only Spanish speaking hosts as well, so bring a word list in that case! Once we got a good advice, and we have followed it ever since, always eat and drink in the bars and restaurants were the locals eat and drink. A good sign – old men in cardigans, braces and a cap added to the usual shirt and baggy trousers, sometimes wearing slippers as well, sipping a Carajillo (coffee with Spanish Brandy, sugar and a tiny bit of lemon peel). It is good actually! Try it sometime, preferably in a bar in Spain! Follow your nose! We learned that Sevillanas is not flamenco and a Feria is a feast of 100%. 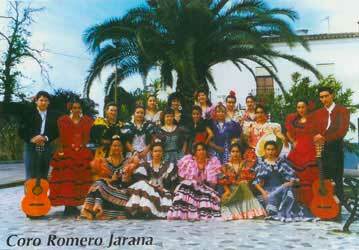 The girls in the picture, which took you to this page, are dancing Sevillanas and their dresses are also called sevillanas, and there are several patterns to buy. A mixed choir in Cortegana dressed up in their colourful costumes is a feast for the eye! The concert is a happening of sound, colours and artistry, and it is a joy to be in the the audience, in the middle of all the people from the village, everybody waving a fan, hand clapping and shouting “Ole, hombre!” after every verse. A total contrast to a choir concert in our country, promise! La Romería de el Rocio – when the spooky village becomes alive for two weeks! 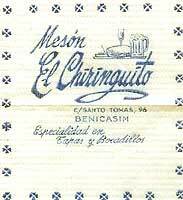 Two articles by Lawrence Bohme on the fine art of Spanish cuisine. Favorite Spanish Food Recipes – somebody for a Flan as dessert?